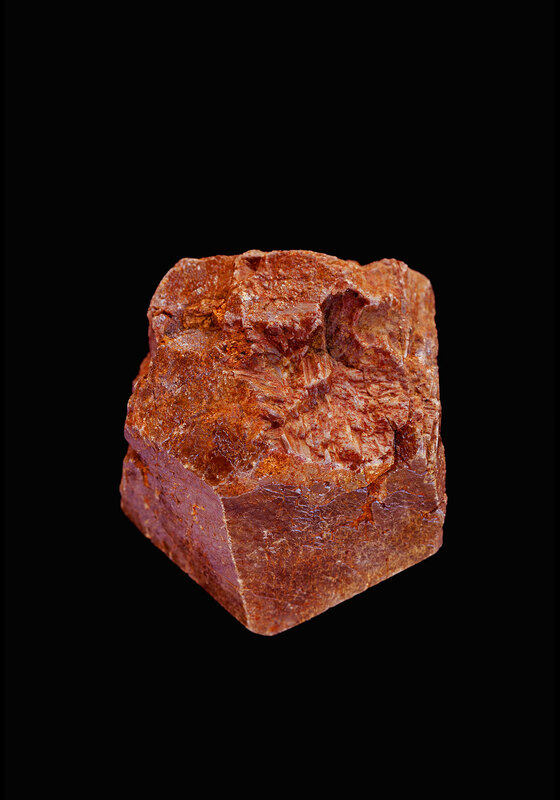 Zircon Rock—Kusunugu—Malawi—the main ore of zirconium. Photographer: John Cancalosi. ERSDAC/JAROS, and US/Japan Advanced Spaceborne Thermal Emission and Reflection (ASTER) Science Team. 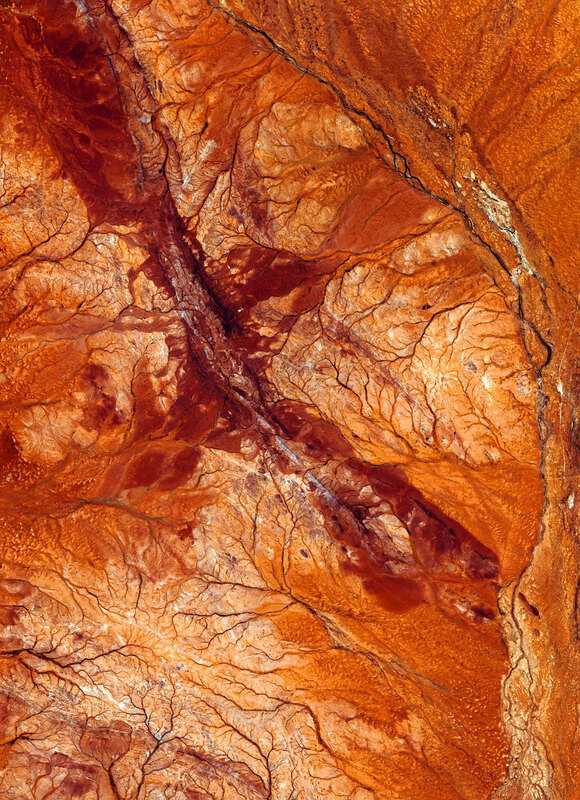 A World Undone delves into Zircon, a 4,400 Million year old mineral that has been unearthed within some of the earth’s earliest crust in Western Australia’s extremely remote Jack Hills. 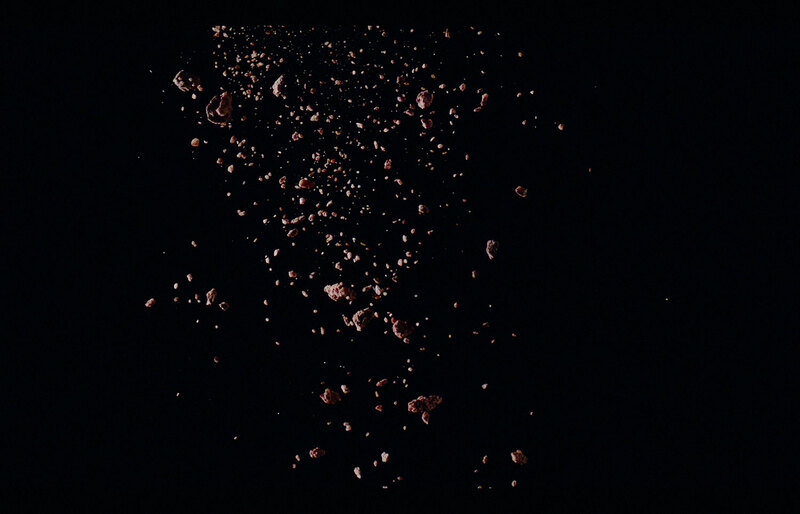 The project gathered a small sample of the geological material to be crushed and reduced to dust, disaggregating the very matter that it was comprised of. 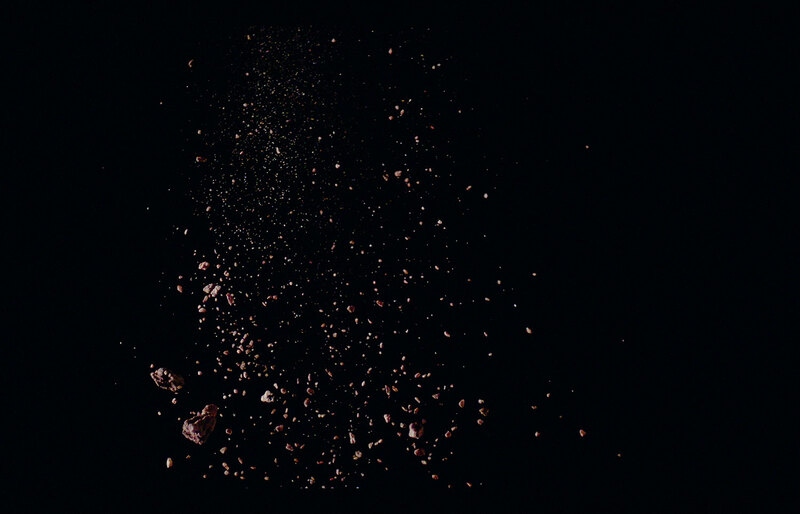 The dust was filmed, airborne, by a camera that captures movement at a speed of 2500 frames per second. 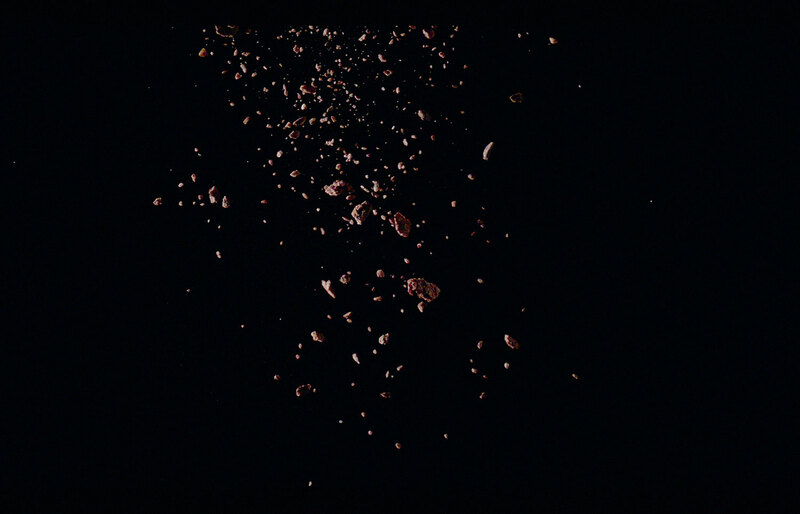 The airborne dust elicits an image of the earth’s crust dematerializing, a rear vision view of the earth’s becoming; an inverted cosmos. 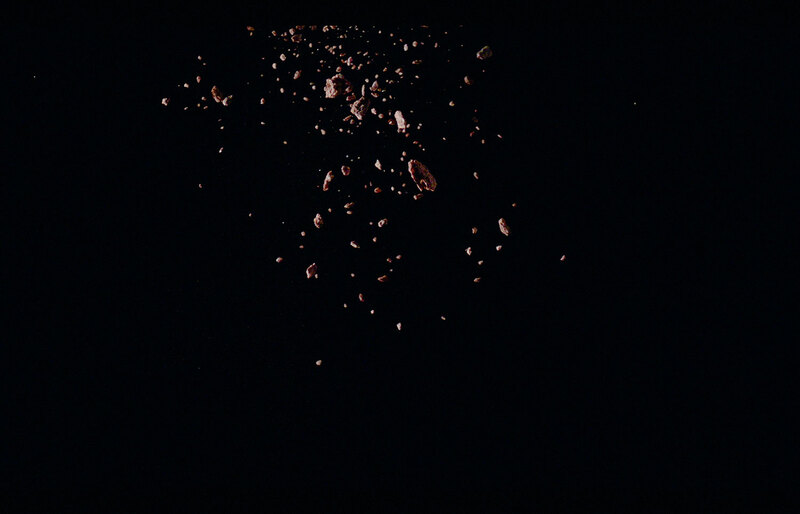 In the words of founding Geologist James Hutton, the so-called discoverer of deep-time; “No vestige of a beginning — no prospect of an end”. 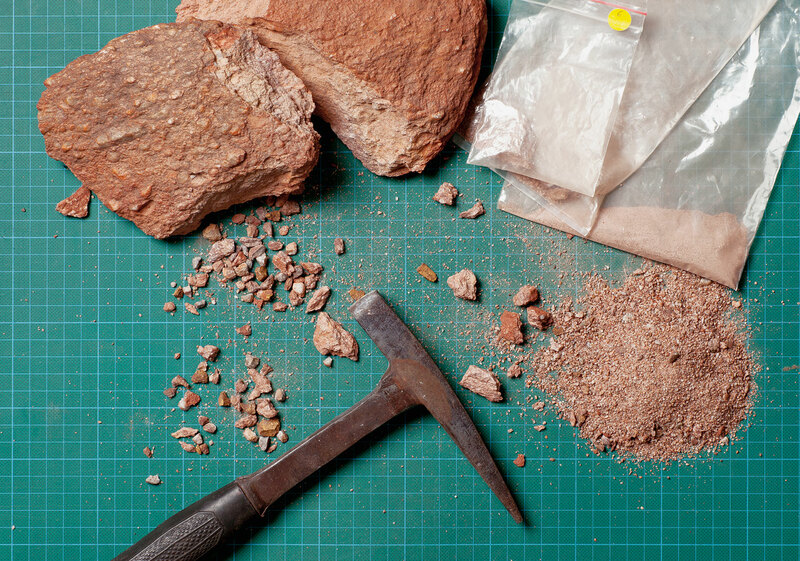 Nicholas Mangan, Matter over Mined, 2012, C-type print, 69 × 103 cm. 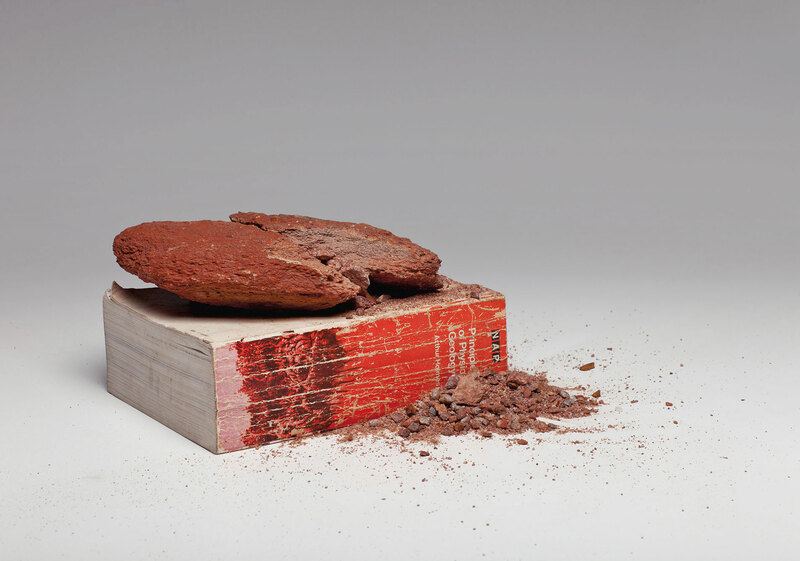 Nicholas Mangan, Mined over Matter (for A World Undone), 2012, C-type print, 69 × 103 cm. University of California Los Angeles’ Michelle Hopkins, graduate student in Earth and Space Sciences, Mark Harrison, Director of the Institute of Geophysics and Planetary Physics, and Craig Manning, Professor of Geology and Geochemistry examine zircon from the Jack Hills, Western Australia, prior to its analysis with a high-resolution ion microprobe. Photographer: Reed Hutchinson, UCLA. 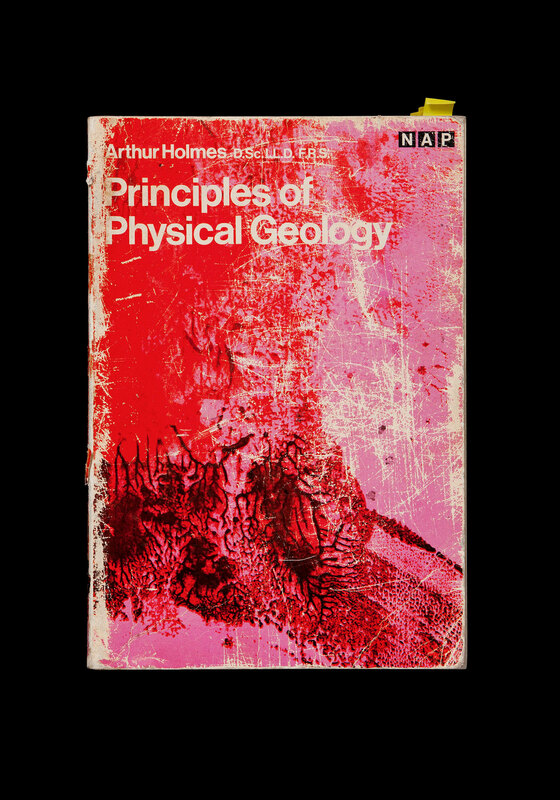 Front cover of Arthur Holmes, D.Sc.LL.D F.R.S, Principles of Physical Geology, second edition (Australia: Thomas Nelson and Sons, 1965). Gift to the artist from his grandfather. Photographer: Andrew Curtis. 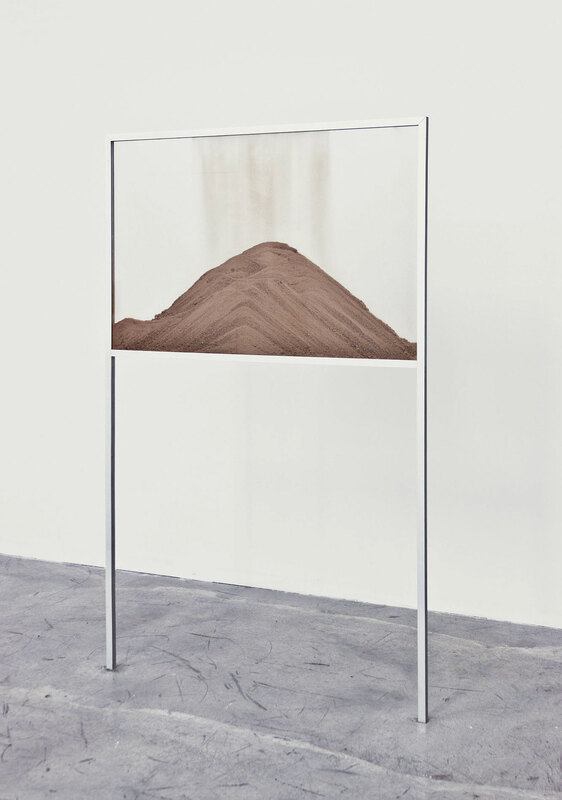 Nicholas Mangan, A World Undone (Protolith), 2012, aluminium, glass, crushed zircon rock, 150 × 90 × 3 cm. Installation view, LABOR, Mexico, DF. Photographer: Isaac Contreras. 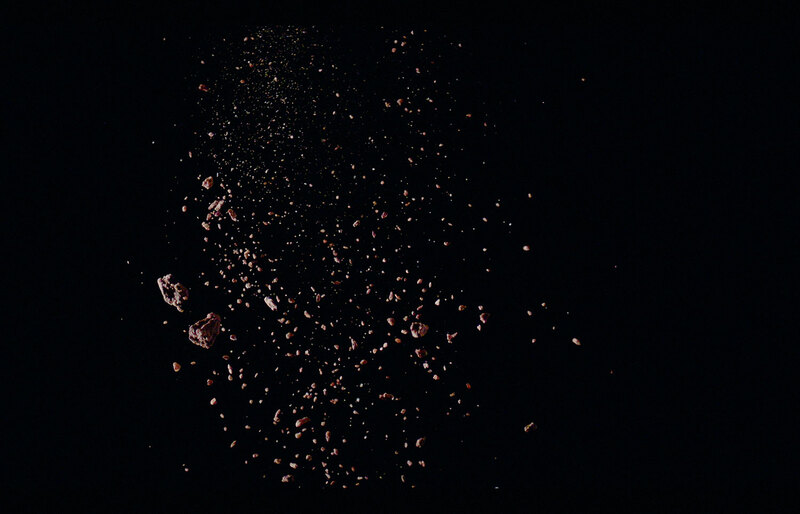 Nicholas Mangan, A World Undone, 2012. 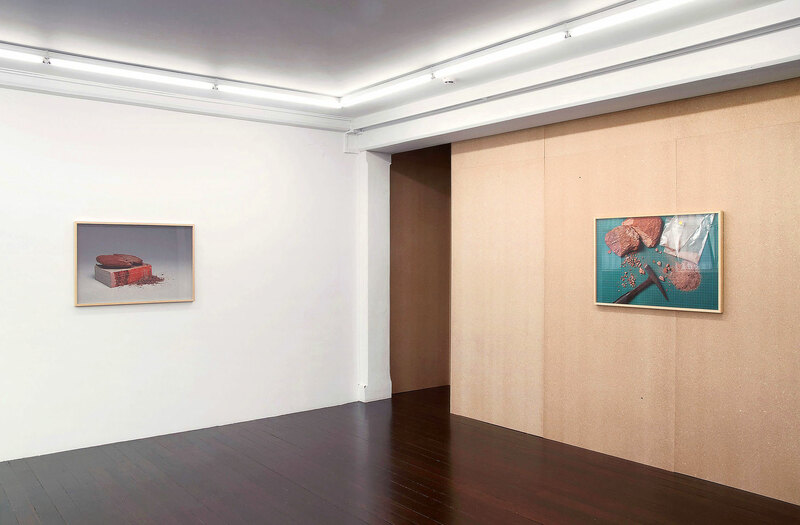 Installation view, Hopkinson Mossman, Auckland, New Zealand. Photographer: Alex North. 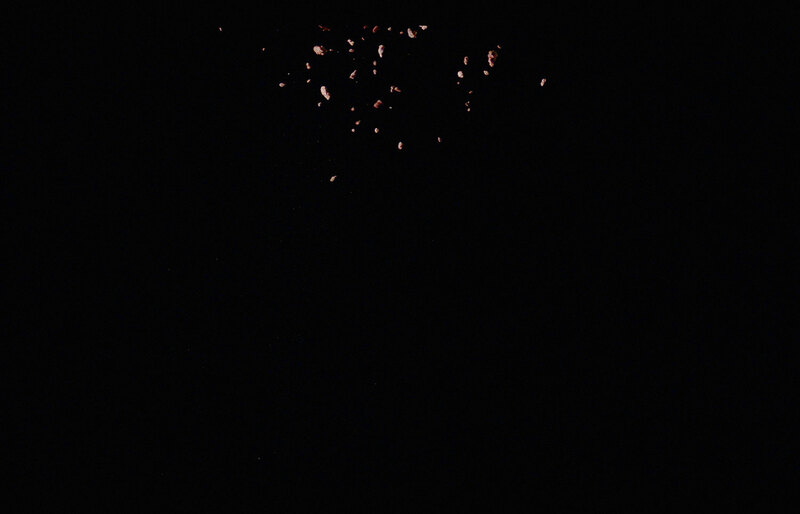 Nicholas Mangan, A World Undone, 2012, HD video, colour, silent, 12:00, continuous loop. 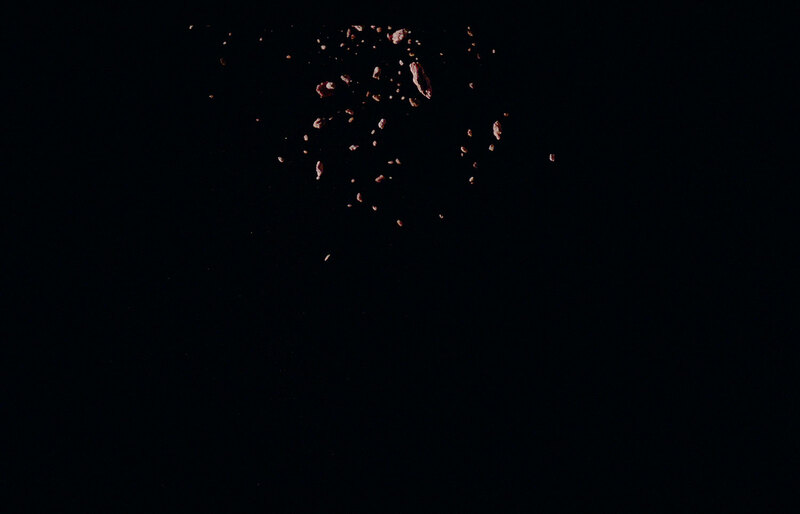 Nicholas Mangan, A World Undone, 2012. 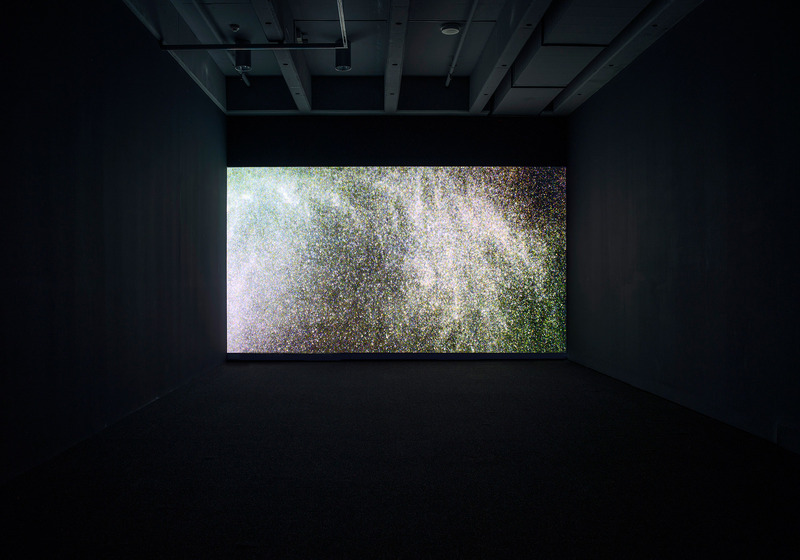 Installation view, IMA - Institute of Modern Art, Brisbane, 2016. Photographer: Carl Warner. Thanks to Tom Kapitany And Crystal world Melbourne.